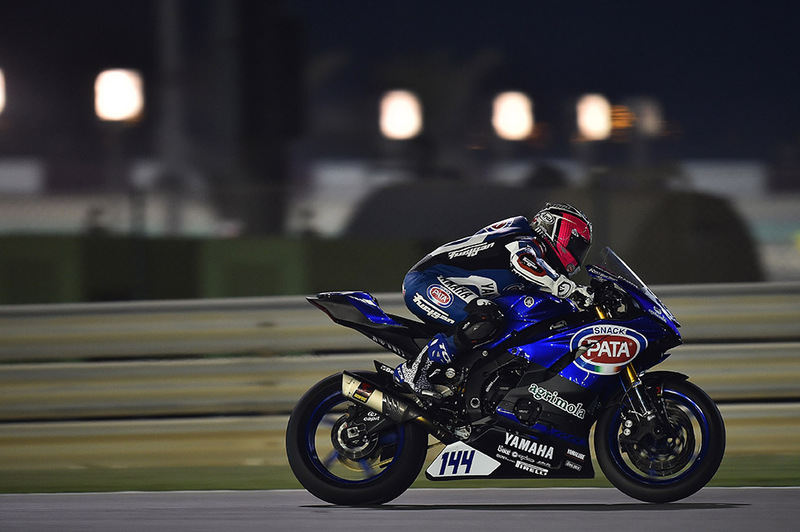 Lucas Mahias (Yamaha) finally crossed the line at the Losail International Circuit as the 2017 FIM Supersport World Champion at the end of a rollercoaster season in the 600cc category. Mahias found a home in the middleweight class of production racing after impressing in various different championships in 2016, particularly in the FIM EWC, where he won the team and riders' titles. The Frenchman showed his versatility from the first round of this campaign, finishing second after a scintillating battle for the win at Phillip Island. After a DNF in Thailand he secured his debut victory in the series by just 0.014s ahead of Sheridan Morais (Yamaha) at MotorLand Aragon and a string of three second positions swiftly followed, ensuring Mahias clung on to the series lead despite a resurgent Kenan Sofuoglu (Kawasaki) returning from injury in style with four straight wins after missing the opening two rounds and crashing in the third. A crash for Mahias at Misano saw his advantage slashed to just five points with five rounds remaining and even a return to the podium in Lausitzring and Portimao could not prevent the Turk from taking over at the top. However, there was more drama in store for Sofuoglu, who crashed at Magny-Cours and suffered a triple fracture to his hip. And despite another heroic return from the Kawasaki man to set up a tense final-round decider in Qatar, Mahias made sure of the title with another breathtaking win by just 0.023 seconds over compatriot Jules Cluzel (Honda). Lucas Mahias clinched the riders' title in the 2016 FIM Endurance World Championship in an unusual fashion thanks to a strange twist of fate that saw him switch teams after one round. The 27-year-old Frenchman started the season on a Suzuki with Team R2CL, helping them to fourth place at the Le Mans 24 Hours race. However, after GMT94 Yamaha parted company with Louis Rossi ahead of the second round in Portimão, they moved to re-sign their former rider to join forces with Niccolò Canepa and David Checa. Whilst the factory-backed Yamaha effort ultimately missed out on the Teams' world title by a single point to SERT in that thrilling final round at the Oschersleben 8 Hours, there was a golden lining to the cloud as Mahias claimed the individual honours; that fourth place finish for Team R2CL at Le Mans, ahead of SERT in fifth and his future teammates, who failed to finish, providing him with the extra points that made the difference. Mahias' colourful career, which includes a handful of starts in Moto2, an appearance on a World Superbike at Assen in 2016 and a podium at his home World Supersport round of Magny-Cours in 2015, has now also secured him an FIM gold medal!